Homemade Enchilada Sauce in the Slow Cooker might just be my favorite recipe ever. I’m afraid we won’t be able to go back to canned enchilada sauce after this, but that’s ok because it is so easy to make! 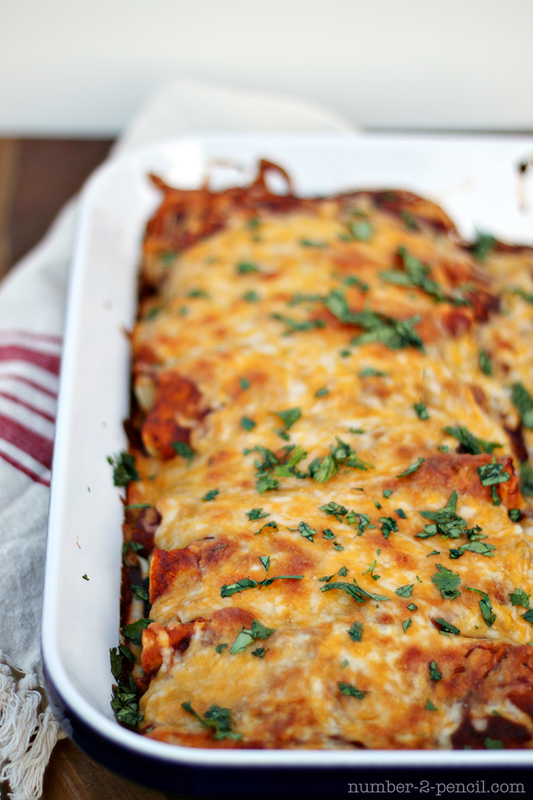 Minimal prep work in the morning, and you can have delicious homemade enchiladas for dinner. The best part is, this recipe makes the equivalent of two large cans of store bought enchilada sauce. You can use it in another meal later in the week, or freeze it for a different week. 1. Cut onions in half and remove skins. Cut jalapenos in half and remove seeds. Note: Use a spoon to scrape out the seeds and wash hands immediately. You can also use gloves to handle the jalapenos. 2. 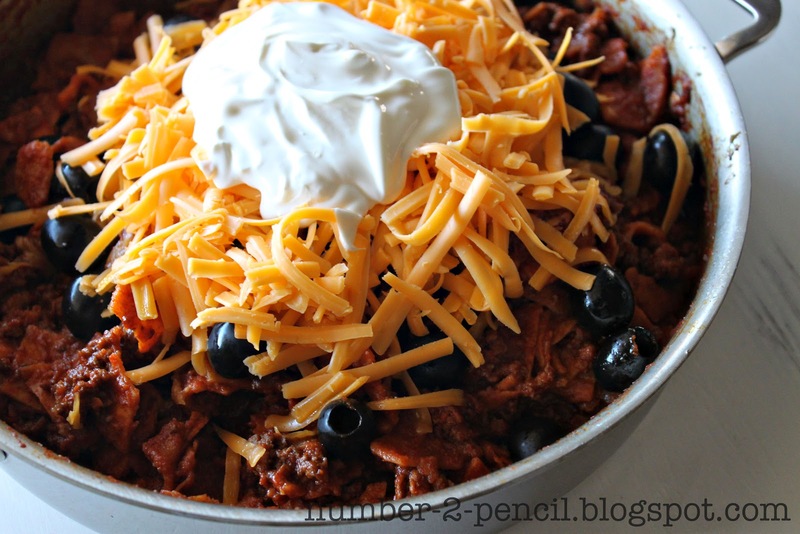 Combine all ingredients in the slow cooker and cook 8 hours on low, or 4-5 hours on high. Stir once during cooking time to make sure spices are disbursed throughout the sauce. 3. Strain sauce through a colander and discard onions, garlic, and jalapeno. 4. Optional, stir in two tablespoon of chopped cilantro. 5. Divide sauce and set aside or freeze 1/2 for later use. 1. Pan fry tortillas in a small amount of vegetable oil just until soft and pliable. Set aside. 2. Season ground beef with salt and pepper and brown in a large skillet. 3. Add two cups of enchilada sauce to ground beef and simmer 15-20 minute. 4. Preheat oven to 350 degrees, and assemble enchiladas. 5. Bake uncovered in oven until golden brown and bubbly. Sprinkle with fresh cilantro. 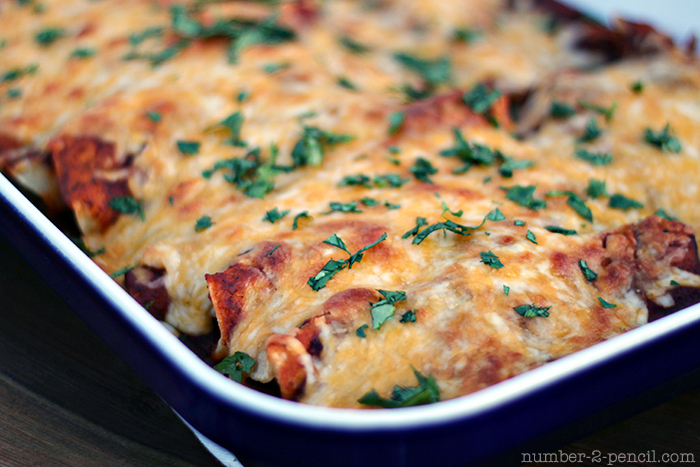 You can put enchiladas together in a variety of ways. I like to start by pouring a small amount of sauce in the bottom of a 9×13 pan. Then, divide the meat filling evenly among the tortillas, with a generous sprinkle of cheese added. Roll up the tortillas and place in pan seam side down. Then I cover them in the remaining enchilada sauce, and sprinkle with a generous amount of cheese on top. 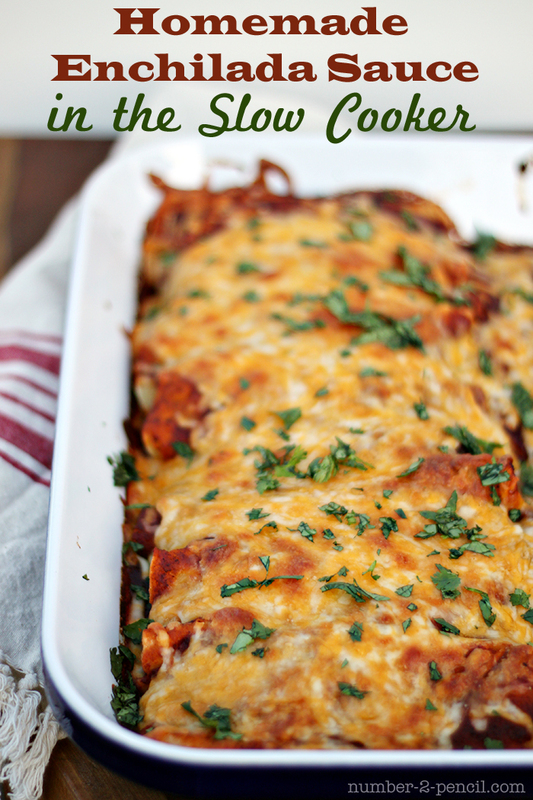 Use the leftover sauce to make my Skillet Enchiladas for a super quick week night dinner. I’d love for you to keep up on my new posts and recipes by clicking on these cute buttons below, and follow me on Facebook and Twitter. You can also find me on Pinterest, that’s my favorite place to hang out and I’d love to see you there. is it the chicken or beef boulion?